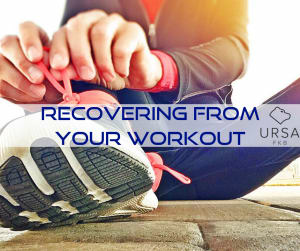 Recovery is an important part of reaching your exercise and fitness goals, but often overlooked! Not devoting enough time to recover will shortage the results you’ve been working so hard for in the gym. Here are a few safe and effective ways to recover from those challenging exercise sessions we put our bodies through. Stretching is the old tried-and-true method to increase our flexibility, muscle balance, and recovery. I suggest becoming knowledgeable on performing resistance stretches or ask a certified and knowledgeable professional to assist you. Adding stretching regularly not only prevents and soothes muscle soreness, but also results in a better body, better posture, and better balance. Supplementation is also a key component of recovery to your muscles and achieving maximum results. Making sure you’re drinking BCAA’s (branch-chain amino acids) during your intense exercise will fuel your muscles, promote muscle growth, and prevent protein catabolism or muscle breakdown. Also be sure to take a quality protein supplement within 20 minutes of your workout for immediate recovery. Foam rolling and massage therapy are awesome forms of recovery. Foam rolling can be done everyday and it feels amazing! If you are working our very regularly I highly recommend getting a massage at least once a month. Deep breathing during both is a sure fire way to get oxygen to the muscles and aid in muscle recovery. Never underestimate staying hydrated and getting enough sleep! Both are crucial to recovery and make us less prone to injuries. Keep up the hard work in the gym and listen to your body when it needs a break!